Welcome to the Thunderpole website terms and conditions for use. Please read these terms and conditions carefully before ordering any products from us. You should understand that by ordering any of our products, you agree to be bound by these terms and conditions. The carrier we use will depend on the weight and size of your order. UK orders will be delivered 8am - 6.00pm. No deliveries will be made on Bank Holidays. Any deliveries scheduled to arrive on a Bank Holiday will be delivered the following working day. If you choose that your order is to be left “in a safe place” by our courier, this is entirely at your own risk and Thunderpole accept no responsibility for any loss or damage. If you are unavailable to sign for the parcel on 2 occasion's the parcel may be returned to the depot for 24 hours, if this is then not collected it may be returned to us. If it is returned to us you will be liable for the carriage charge to resend the parcel. If your delivery address is outside of the UK, you may be subject to import duties and taxes, which are levied once a shipment reaches your country. Any additional charges for customs clearance must be borne by the customer. You should note that customs policies vary widely from country to country. 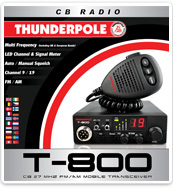 Thunderpole therefore, advise each customer to contact their local customs office for further information. We offer various ways for you to pay online including Visa, Electron, MasterCard, Maestro and Solo payment cards. We also accept PayPal. Please note: Your card will not be debited until your order is ready for despatch. You have the right to cancel your order anytime prior to despatch and up to 14 days after the day you receive the goods. For our full returns procedure please click here. (a) Thunderpole undertakes to credit the account of the Customer (if any) or to remedy free of charge by repair or replacement any defects in the goods covered under the manufacturers guarantee and provided that the Customer arranges for the prompt return to Thunderpole of the defective goods at the Customers risk and expense. Thunderpole reserve the choice of repair/replacement/credit. Credit notes issued by Thunderpole are not redeemable for cash. (b) Save as herein specifically provided and save to the extent that the same cannot by statute be excluded all the conditions and warranties or representations express or implied statutory or otherwise in relation to the goods are herby excluded. Nothing in this clause (b) of these Conditions shall exclude the undertakings implied by section 12 of the Sale of Goods Act 1979. 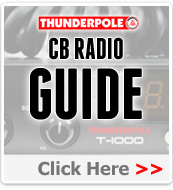 (c) Thunderpole shall not be liable for any financial consequential, indirect loss suffered by the customer or any third party whether such a loss arises from breach of any duty in contact or tort in any other way including without limitation to the generality of this exclusion, loss of profits, economic loss, loss of goodwill, loss of contacts, damage to the property of the Customer or anyone else. (d) To be valid any claim against Thunderpole whether in contract or in tort must be brought within six months of the date of invoice and any such claim shall be limited to an amount by way of liquidated damages equal to the invoice value of the goods in respect of which the claim is made. We value our customers' satisfaction very highly. If you have any complaints regarding your Thunderpole order please contact us. Product photographs are for illustration only, products may differ from those shown. 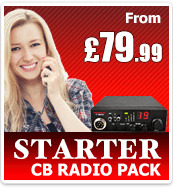 Descriptions are supplied by the manufacturer and may change without notice. The design and text of this site is Copyright © 1999 - 2019 Thunderpole.